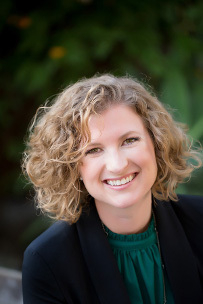 Meriah Moffat earned her BM in music education from Brigham Young University in 2010, after which she taught music in the Glendale and Moreno Valley school districts for seven years. She is currently completing her MM in choral conducting at Azusa Pacific University and is the assistant conductor of APU University Choir, associate conductor of the Angeles Chorale, and a 2018 Chorus America Conducting Scholar. She has hosted several festivals, taught classes through Glendale Community College, and served as artistic director of the Southern California LDS Korean Choir. Last summer she had the privilege of serving as the music teacher-in-residence for Snehalaya, a non-profit organization caring for displaced children in India. Meriah plays the flute, piano, harmonica, and penny whistle. She wanted to be the first female President of the United States for three years in middle school but left politics in 9th grade. Meriah is a shamelessly doting aunt, an aspiring cat walker, and will talk about her passion for community side projects with anyone who makes eye contact (check them out at beautifulsound.org and azusainterfaithchoir.com).